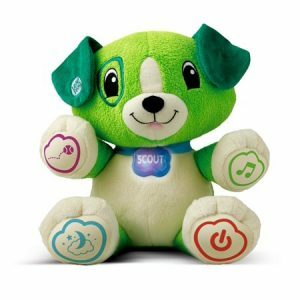 LeapFrog® My Pal Scout for just $14.88 !!! reg price $22 !!! Grab this , LeapFrog® My Pal Scout for just $14.88 !!! reg price $22 !!! Snuggle up to learning with a true best friend! My Pal Violet is the lovable puppy who can learn your child’s name and favorite things, for personalized daytime learning and nighttime comfort. Sing, play and move along to more than 40 songs and melodies. Personalize the learning in 15+ activities by teaching Violet your child’s favorite food, animal and color. Safety 1st Sweet Dreams Baby and Toddler Crib Mattress for just $25 + FREE in store Pickup !! reg price $40 !!! Huffy® 26″ Rock Creek™ Men’s Rock Creek Mountain Bike, Green for just $79 + FREE in store Pickup!!! reg price $120!! Disney Princess Royal Dreams Castle, is only $35.15 + FREE in store Pickup!! reg price $100!! PUMA INSURGE ENG MESH SNEAKERS for as low as $26 Shipped !!! Reg price $65 !! Wink Diapers | Blue & Red ‘Boom’ Hybrid Diaper Cover for $10.99 !!! reg price $15 !! !